I’ll messing around with these a bit more over the next few months, but as it stands I have these templates and data for all of this year’s skaters ready if anybody wants to request a post for a team or some players. 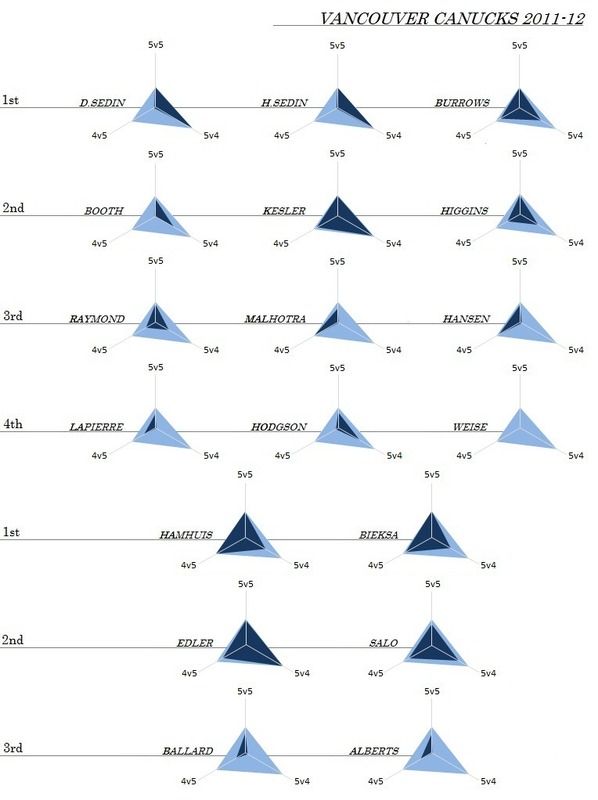 The outer, light blue triangle is the team-high by position (forwards, defensemen); the darker blue is the player’s radar chart. I plan on doing the same for 2014-15 teams, but want to see if I can make it filterable. I used a 20-game moving average of the measures, keeping the league average and high static. 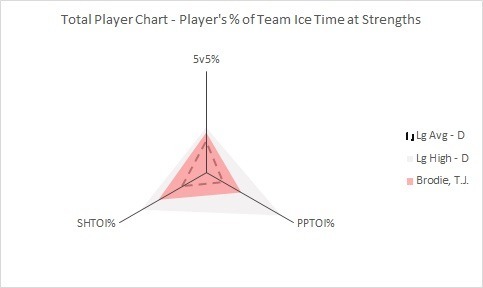 As you can see, he moved in and out of the penalty kill over the course of the season, and his scoring numbers were helped somewhat by above-average powerplay time. Regardless, it is an impressive season for somebody making the jump from the OHL. As I mentioned above, expect to see me messing around with these a bit more, to improve their look and utility. 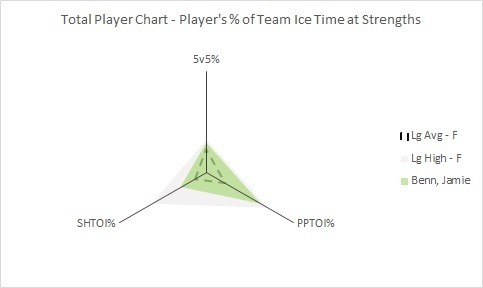 Overall, though, TPCs are an interesting way to capture things like player usage and understand where their scoring numbers come from. Additionally, it can tell us a lot about the depth and usage of an entire lineup, whether by an end-of-the-year measure, or through a dynamic chart like the GIFs above.